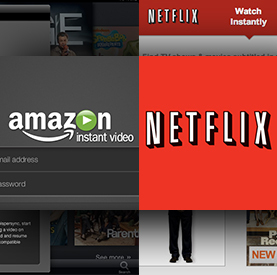 Both Netflix and Amazon Prime (also referred to as Instant Video) offer online streaming videos from each respective service. Netflix still holds onto the video by mail service. But, I question how much longer that will last. Eventually, I expect Netflix to have their entire video library online and available via their streaming service. I have used both online streaming services over the past year. You can get Netflix online for about $8 a month. Amazon Prime offers free videos that are designated Amazon Prime. You also have access to the latest releases at a cost of anywhere from $2 to $6. I've kept both for a year because I wasn't certain which one I wanted to keep. Netflix has a huge online library available. But, the selection is very mediocre. Some movies are from the 50s. A lot of the cult classics such as "Attack of the 50 Foot Woman" are available for viewing. These movies makeup about 15% of the selection. Most people are not interested in watching movies that are in black and white and are about 50 years old. Some seem almost comical now. Netflix does have a "recently added" listing of the latest movies. But, even here, they are movies most people have seen countless times. It seems every Tom Cruise movie ever made is on Netflix. I'm at the point with Netflix that I feel it is a waste of time now. Amazon Prime is not much better. It seems they just repeat most of the fare available at Netflix. However, Amazon Prime leaves out most of the dated 50s movies that seem to be a staple at Netflix. Amazon Prime also seems to have a better viewing quality than at Netflix. I use the Roku adapter to view movies from both companies. Amazon Prime also offers more documentaries. I know most people are not into documentaries. But, I enjoy them a lot. You can get Amazon Prime for $79/year. This includes a lot of free shipping on products you buy from them online. Of course, you are entitled to view all their Prime movies offering. I have decided to drop Netflix and keep Amazon Prime. It's not so much that Amazon Prime has more movies. It's just that Amazon Prime has slightly more quality than the quantity that Netflix has as an offering online. If Netflix ever updates their movie listing or puts their entire video library online, I will consider adding them back as a form of my TV entertainment. But, for now, I intend to just go with Amazon Prime. **This is not a paid advertisement for either Netflix or Amazon Prime. Forbes came out with an article, this past Tuesday, with what they perceive as the world's worst traffic jams. I'm not sure what qualifies a financial advice site to be an authority on world's worst traffic jams. Be that as it may, they provided some interesting insight. They cited Wikipedia with the astute definition of a traffic jam; traffic congestion occurs when a volume of traffic or modal split generates demand for space greater than the available road capacity. Well, thank you for that bit of enlightening news. I suspect this article was written with this weekend's nightmarish Memorial Day traffic jams in mind. Some of the places they mention might surprise you. Other places will not surprise you in the least. Let's cut to the chase, shall we? They list the worst traffic jams in alphabetical order. So, let's start with Bejjing, China in August 2010. I actually remember this one. This was a 62-mile traffic jam of cars being unable to move in any direction. That traffic jam lasted almost 2 weeks. That is hard to imagine. There appeared to be no special incident that caused this jam. It was just a case of too many cars with too little space (see Wikipedia). Bethel, New York in August 1969. This was a three-day tie-up for reasons that some baby boomers (like me) are all too familiar. That jam was due to more than 500,000 people attending the historic Woodstock Festival on Max Yasgur’s famous farm. Motorists were stranded for more than 20 miles all the way to the New York Thruway. Funny sidenote here; about ten years ago Rolling Stone magazine did a story on Woodstock. According to them, if you talk to people from the baby boomer generation, at least 6 million attended the festival. Do the math. East/West, German in April of 1990. This was the fall of the Berlin Wall. On Easter of that year, there was a massive influx of people from East to West to connect with friends and relatives. 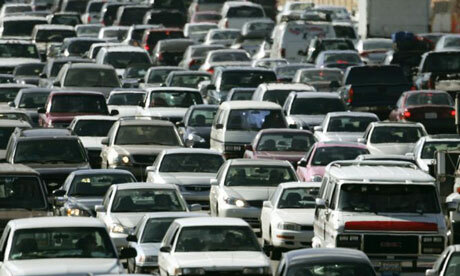 There were approximately 18 million cars on a roadway that usually can accommodate a half-million. That should tell you something about how starved people in the East were for freedom. Lyons-Paris, France in February 1980. This is generally considered the longest traffic jam in recorded history. A rare combination of bad weather and vacationers contributed to a traffic jam that extended a mind-blowing 109 miles!!! They would have had to carry me out of that jam. It would have killed me. I-45 Texas in September of 2005. Most will remember this incredible traffic jam that was due to Cat 5 Hurricane Rita approaching Houston. Over 2 million residents tried to escape the wrath of one of the worst hurricane seasons on record with Hurricane Rita adding to that misery. Traffic was backed up about 100 miles leaving Houston....or I should say, trying to leave Houston. The traffic jam lasted up to 48 hours. Some people were stranded for up to 24 hours. I remember reading about an oxygen tank on a bus that exploded and killed everyone on board. It was a horrific event. There are several more places that have an overwhelming status as being world's worst traffic jams. But, these were the five that caught my attention most. You can see the rest by clicking the Forbes link above. I've always had an interest in the unusual, the strange and unbelievable. Thusly, the subject of today. I can't vouch for the truthfulness of the following stories. I will provide a link to where they came from on the internet. 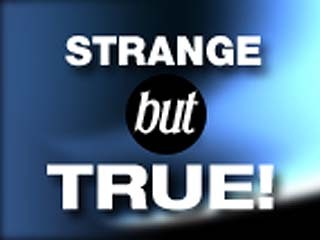 But, I am only posting the stories I find truly strange. A fierce gust of wind blew 45-year-old Vittorio Luise's car into a river near Naples, Italy in 1983. He managed to break out a window, climb out, and swim to shore -- where a tree blew over and killed him. Sometimes, life gets in the way of life. Two German motorists had an all-too-literal head-on collision in heavy fog near the small town of Guetersloh. Each was guiding his car at a snail's pace from opposite directions but both near the middle of the road. At the moment of impact, their heads were both out of the windows where they smacked together. Both men were hospitalized with severe head injuries. Their cars weren't scratched. At least you can say these men "used their heads." Finally, a few years ago in California there was a raging brush fire. Once the fire was extinguished, the firefighters began the process of clean up. In the middle of where the fire had been burning, they found a dead man wearing a scuba tank and wet suit. At first the firefighters were baffled as to why a man would be out in the middle of the countryside wearing full scuba gear. Upon further examination, it was determined that the man died from the impact with the ground and not the fire. As best anyone can determine, this man was scuba diving off the coast of California and was accidentally picked up by one of the firefighting aircraft when it was refilling its water tanks offshore. This one is so unbelievable until it has to be true. Yahoo had a story, earlier this week, about why retirement age people should be heading to the state of Tennessee to retire. To be honest, I've never really thought about retirement in Tennessee. I did a post on Retire to a Foreign Country earlier this year. In that post I spoke of retiring to countries such as Malaysia, Panama and Costa Rica. All have negatives and positives. Retiring to another state is not something I have given much consideration. I knew, before this article came out, that the state of Tennessee did not have a state income tax. Of course, to make up for this there has to be some kind of high property taxes. That was my thinking before I read the article. There was no mention of high property taxes. In fact, the article mentioned that Tennessee has the third lowest tax burden in the nation. All this comes from Bankrate, which lists the state of Tennessee as the best state for retirees. Florida might want to make note of this. Some more interesting points from the article; easy access to medical care, which is a big priority with retirees. Health care per capita is below the national average. That is a big, big plus for seniors. Average temperatures in Tennessee rank 15th overall in the nation. That means fewer days digging out from snow. It does snow in Tennessee. But, it is rare and usually light amount of snow. Crime is relatively low in Tennessee. According to the article, Tennessee ranks 47th in property and violent crime. Of course, that rises significantly in the larger cities of Nashville and Memphis (especially Memphis). Lots of people think of where they are going to retire to years before they actually turn off the old alarm clock. But, just because a city or state is near the family or friends is not the most economical decision. You have to think and plan long term when deciding where to reside upon your retirement years. I know a lot of retirees like to retire to Florida. But, with the constant threat of hurricanes, property taxes and crime rate, you have to at least consider a state like Tennessee. Again, I never considered Tennessee as a retirement locale. But, it's possible I might relocate there if things keep going the way they are in Alabama. Taxes are outrageous here. Ralph and I arrived at the Quality Inn in Corinth, MS about noon last Friday. We were told we could not check in until at least 2PM. Well, that irked me to no end. So, Ralph and I walked around, I let him eat lunch and I got me something at the drive through at a fast food restaurant. I left Vicksburg too damn early. So, after walking around, and driving around the Corinth area, I called in and asked if we could check in about 2PM. We were told our room was ready. I was ready to unwind. Ralph and I would not be going to the Shiloh National Park until in the morning (Saturday). I wanted to see if maybe I could find out if the clerk on duty would watch Ralph for me while I went to a local restaurant for a good steak. Well, I was told it was prohibited by him to babysit pets of visitors. So, I hung up and thought about calling a nearby pizza joint to bring me a pizza and a coke. Right before I did that, the phone in my room rung. It was the desk clerk. He said if I did not mention him keeping my dog to any other guests, he could pretend it is his dog and he would not get into trouble. I told him I appreciate his doing this for me. So, after about an hour of rest, I took Ralph to the clerk and went to a steak restaurant that he recommended to me. Well, I've had better steak, to be honest. But, it filled me up. I stopped at a convenience store, got a couple of 24 ounce beers and headed back to my hotel room. Ralph and I ate breakfast about 8AM. I wanted to get to the Shiloh National Park before the crowd since it was Saturday. It took about 40-45 minutes to get there from Corinth, MS. It was largely a wooded area on the road we took. I sure as hell did not want to break down there. Ralph and I arrived at the park about 9:30AM. There was already a sizable crowd there for that time of the morning. Of course, I was still presented with the problem of not being able to go to the visitor center with Ralph. I noticed a couple with their own beagle by their RV. So, I asked if they would hold on to Ralph while I went into the visitor center. They very graciously obliged me. Of course, as soon as I started walking off, Ralph started with his baying. The lady told me not to worry about it, they were used to it. So, I went to the center and got some mementos of the park. I came back out, got Ralph and thanked the kind couple for watching him for me. Each stopping point had a thing where you pushed the button and it told you what took place there. It was very interesting along with the CD I bought. This was a pivotal battle that saw the Union forces capture a railroad in Corinth that badly affected the Confederate forces ability to move materiel and men. At one stopping point was a mass grave for Confederate soldiers. It was a very moving moment for me. It seemed the birds were not even chirping there. I was greatly moved by this one particular site. 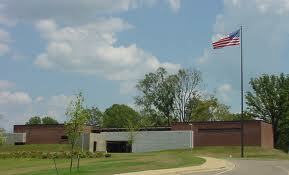 I also visited Shiloh National Cemetery. It also was a very somber reminder of the folly of war. Like with Vicksburg, I won't go into what happened in each battle. You can Google that. But, my week's journey left an impression on me of the young men who gave their lives for what most did not fully understand. Most of the down the line soldiers were illiterate and poor. They could not fully grasp the meaning of the war itself. I thought about the thousands upon thousands who died not knowing what the outcome of the war itself would be. One thing I will say, I did not like the way many people who visited each park disrespected the place. I understand people and kids are going to make noise. But, there is a time and place for everything. The battlefield where so many men gave their lives is not the place to hoot and holler. I was surprised that the park rangers did not come over to quiet them down. I was disappointed to see this happen. Ralph and I left Sunday morning to head back home to Mobile from Corinth. It was a largely uneventful trip. But, I could tell Ralph was tired of the constant driving. That is strange because he loves riding in a car. I imagine even Ralph has a breaking point though. I stopped every couple of hours to let him stretch his legs, do his business and just take a break. When we finally pulled into our driveway, Ralph was trying to jump out the closed window. He was mighty happy to see he was back home. I was happy to be back home also. It is a trip I may make again someday, hopefully. But, I'm not sure Ralph will be going with me. He did pretty good on the trip. But, he was a burden to have around when I wanted to go somewhere such as a restaurant. Of course, that is not his fault. The Civil War journey was one that I will always remember. It is a trip that I had on my bucket list. I can now scratch that one off. As I stated in Part I, my erstwhile companion, Ralph, my 5-year old beagle, and I are on the road this week and part of next week visiting American Civil War sites. 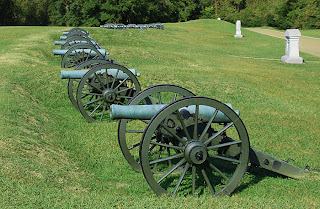 After staying in Montgomery, Alabama until Wednesday morning, we set out for Vicksburg National Military Park in Vicksburg, MS. We arrived in Vicksburg, MS about 1PM Wednesday. I wanted to wait until Thursday morning before Ralph and I visited the battlefield park. I decided to go partake of some of the local cuisine. Obviously, I couldn't take Ralph with me. I couldn't leave him in this room. Most likely, he would have bayed until the police knocked down the door. I certainly didn't want that. So, I asked the front clerk what could I do. He was a really nice fellow. He said Ralph could stay with him until I returned from eating. Ralph would be placed in an enclosed space with green grass and plenty of water. I also gave him his favorite bone toy. I walked away with Ralph and the desk clerk playing in the enclosed space. I decided to get out of there before the clerk changed his mind. I went to a restaurant that was closest to the riverfront. There were a large cluster of each of these little restaurants. Each one had the maximum seating capacity on the window of each specific restaurant. Most specialized in seafood, of course. I chose one that had the best seafood gumbo I have ever eaten. I mean the BEST! I ate so much until I thought I was not going to be able to get up and walk back to my motel. The service was what you would expect from a small southern town. The waitress even gave me a free generous piece of pecan pie to take back to my motel room. Friendly and extremely courteous place. I wasn't sure if I would ever be able to eat the pecan slice. But, late that night, I somehow managed to eat it. As I slowly walked back to the motel, I felt transfixed by the slow, small town atmosphere. The smell from the waterfront, the restaurants and the sights of sounds of this small southern town made me feel at home. Of course, I could hear Ralph baying in his little playground. He barks when he's happy. He barks when he's unhappy. So, I thanked the clerk and let Ralph do his "business" since I didn't see any evidence of it in the playground. He said Ralph only started barking when he saw me. That's Ralph for you. At 8AM Thursday morning, I got Ralph up and we walked over to the Vicksburg National Military Park. They would not allow Ralph inside the visitor's center. I wanted to watch the twenty-minute documentary they were showing. But, a park ranger did volunteer to go buy me a CD that would give detail to each stopping point in the park. We would stop at each designated point, listen to what happened there and Ralph and I would just walk around. The one that got to me most was the array of canons that was setup to fire on troops. The murderous fire that day must have been more than anyone can imagine. There were state monuments for each detachment that fought from a particular state in that campaign. We visited the USS Cairo that was restored back in 1964. Ralph and I also visited the Vicksburg National Cemetery which is located inside the park. I couldn't help but look at some of the gravestones. 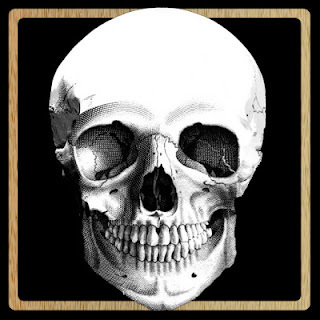 Some had been distorted by the ravages of time. But, I saw one of a young Confederate soldier who was only 16 years old. I'm not sure if that was the norm or not. But, I felt so sad for that young man. He had not even started to enjoy life. I felt what a waste as I looked out over the enormity of lives lost in that 47 day siege of Vicksburg. Even Ralph seemed a bit sad. I won't go into all that transpired in that Vicksburg campaign of the Civil War. You can easily Google it. Our visit around the park took Ralph and I about three hours. We took our time. It seemed that many people were not paying proper respect. It just seemed far too many seemed jovial there. To me it was a very somber experience. The visit to the cemetery (where over 12,000 are unidentified) made it a very thought provoking and heartfelt experience. I took numerous pictures. I said silent prayers at each designated stopping point of interest. It was a learning experience. If you ever get down this way, I encourage you to visit the Vicksburg National Military Park. It is an experience you will never forget. Next up? Shiloh National Park in Tennessee. We're leaving this morning (Friday) for "Bloody Shiloh."